Lee Arnold, born in Scranton, PA, was the best known air personality at WHN, New York, the most listened to Country radio station of all time. After working at WSCR in his hometown of Scranton, he continued his broadcasting career at WAVY radio and TV and WNTA AM/FM/TV, both in Norfolk. 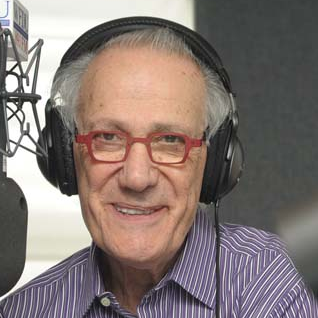 Lee became Music Director and Air Personality at Country formatted WJRZ, Hackensack New Jersey, (1965-1971) which served the New York City metropolitan area. He joined WHN radio (1971-1988), and was there when it changed from an Adult Contemporary to a Country format in 1973. While at WHN, Lee hosted the weekly nationally syndicated shows "Country Cookin'" and "Country Line" (1972-1976). Later, he hosted the Mutual Broadcasting System's "On A Country Road" (1981-1991) and was the voice of "Country In The Air", an in-flight airline Country Music channel. He was honored by both Billboard Magazine, The Country Music Association (1976) and The Academy of Country Music (1983) as Major Market Country Disc Jockey of the Year. Lee Arnold appears as announcer on two landmark live Country albums "Buck Owens and The Buckeroos' Carnegie Hall Concert " and "Country Comes To Carnegie Hall". He then joined Country formatted WYNY New York (1991-1993). Lee Arnold was inducted into The Country Music D J Hall of Fame in 2002. He joined the Sirius Satellite Network in 2001. He is also co-anchor analyst for ESPN's dog show series in addition to Animal Planet's dog show series. July of 2002, he debuted a new syndicated weekly show as host of "Country CloseUP" on Triumph Radio Network.